Geevarghese was born on 21 September 1882 at Puthiyakavu in Mavelikara as the son of Thoma Panicker and Annamma of Panikeruveedu. After his training in Kalari (Elementary School), he joined the CMS English School nearby and later continued his studies in a Government Public School. The Jacobite Metropolitan, Pulikottu Mar Divannasios, who was edified by the pious, intelligent and brave child Geevarghese, took him to the Seminary in Kottayam for higher studies and for priestly formation. He completed matriculation from MD Seminary High School in flying colours. Later, he passed the Fellow of Arts (FA) exam from CMS College, Kottayam. He secured his BA and MA Degrees in History and Economics respectively from Madras Christian College. On 26 Dhanu 1074 (Malayalam Era) Pulikottu Mar Divannasios ordained him a Deacon, in the church at Puthenkavu. As a Deacon, he spent his days preaching on the Sacraments to revivify the Malankara Church, weakened by strife and litigations. Thus he came to be named Kūdasa Semmasan (Deacon of Sacraments). Deacon P.T Geevarghese was appointed Principal of the reknowned MD Seminary High School, in 1908. He was ordained priest by Vattaseril Mar Divannasios at Parumala Seminary on 15 August 1908. He became famous as MA Achen,as he was the first MA Degree holder among the Syrian priests of Kerala. Fr. P.T. Geevarghese served as professor of History, Politics and Economics from 1913 to 1919 in the University of Serampoor, Bengal. It was during this period that he got inspired by the Indian culture and Sanayāsa and started a new religious movement (Sanayāsa Prasthānam), in collaboration with the students, whom MA Achan brought from Kerala to Serampoor to pursue higher education. He intended to found an Ashram in an isolated place and wanted to engage himself in activities of love of God, spiritual awakening of the Malankara Church and the upliftment of the downtrodden of the society. Eventually, he resigned his post at the University and founded the Order of the Imitation of Christ, also known as Bethany Ashram, on 15 August 1919 at Mundanmala in Ranni-Perunadu. 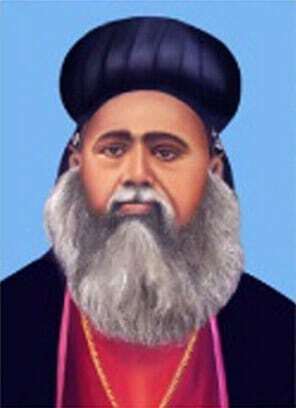 He was made Remban on 28 January 1925 at Tirumoolapuram Church and on 1 May he was ordained Bishop at Niranam after the name Mar Ivanios. He founded a religious congregation for women known as the Sisters of the Imitation of Christ, also known as Bethany Madhom, on 8 September 1925 after he was ordained Bishop of Bethany. On 13 February 1929 he was raised as the Bethany Metropolitan. 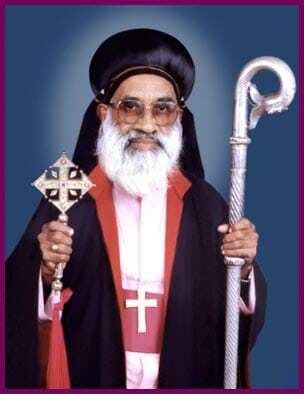 Metropolitan Mar Ivanios had dedicated his life to revive the Malankara Church weakened by disputes and litigations. It was under this circumstance that MA Achen, who was just 30 years old succeeded to get established the throne of the Catholicos in Malankara in the year 1912. At a time when the Metrankakshi (Bishop’s Party) and the Bavakakshi (Catholicos’ Party) were engaged in court litigations to secure the title-hold of Vattippanam (a fixed bank deposit) for favour of the Malankara Church, he toiled to bring peace and reconciliation in the Church. The Synod of the Orthodox Church, convoked at Parumala in 1926 as a solution to find lasting peace in the Church proposed the reunion of the Malankara Church with the Catholic Church and authorized Mar Ivanios to hold negotiations with Rome for the same. After a persevering endevour for four years, Rome accepted the proposal of Mar Ivanios for reunion. However, as the verdict of the civil court on Vattippanam came in favour of theMetrankakshi, they backed out of re-union endevours. But Metropolitan Mar Ivanios along with Mar Theophilos, Fr. John OIC, Deacon Seraphion and Mr. Kilileth Chacko came in communion with the Catholic Church, making the profession of faith before Bishop Aloysius Maria Benzigor in the Aramana Chapel at Kollam on 20 September 1930. Metropolitan Mar Ivanios visited Pope Pius XI, in 1932. The Malankara Catholic Hierarchy was erected with Trivandrum as Archieparchy, His Grace Mar Ivanios as its Metropolitan Archbishop and Tiruvalla as its suffragan Eparchy under Bishop Mar Theophilos on 11 June 1932. His Grace Mar Ivanios was enthroned Metropolitan Archbishop of Trivandrum on 12 March 1933. In 1947, Archbishop Mar Ivanios visited America and Australia. This visit consolidated the life and progress of the Malankara Catholic Church by sharing the ecclesiological and theological positions of the Malankara Catholic Church and the Reunion Movement in the Universal Church. Archbishop Mar Ivanios made a global influence through his ascetic life and endevours for the communion of Churches through the Re-union Movement which was essentially ecumenical in nature. He was a great force in the society through his pioneering efforts in the fields of education and dedication to the cause of the poor. Within twenty two years of his life as Metropolitan Archbishop of Trivandrum, he founded 78 primary schools 18 Upper Primary Schools, 15 High Schools, 2 Teacher Training Schools and 1 Arts college. As his health deteriorated, he received the anointing of the sick for prelates (Kanthīla Susrusha). 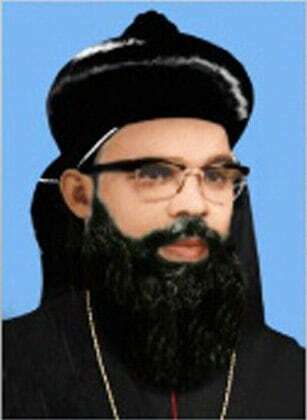 He ordained Benedict Mar Gregorios as Auxiliary Bishop of Trivandrum. He passed away to his eternal reward on 15 July 1953. Ever since his demise, pilgrims flock to his tomb at St. Mary’s Cathedral, Pattom, Trivndrum. Thousands join the AnnualPadayatra (pilgrimage on foot) to his tomb from 10 – 15 July every year to celebrate his commemoration. 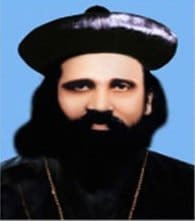 He was declared servant of God in the Church on 14 July 2007 by His Beatitude Moran Mor Baselios Cleemis Catholicos, the Major Archbishop of the Malankara Catholic Church. Varghese Thangalathil was born on 1 February 1916 as the second son of Idicula and Annamma, at Kallūppāra in Tiruvalla. They gave him the pet name Kunjukutty. At the age of four, his uncle Pappy Sir began to teach him alphabets of the vernacular, Malayalam. At the age of five he was sent to the LP School, Puthussery. After completing his middle school studies he joined the St. John’s School, Eraviperūr for his Secondary School education. It was at this time that the Metropolitan Mar Ivanios started many Bethany churches with the intention of reforming the Orthodox Church and one among them was close to the Thangalathil family. As a result of that Varghese who had an inclination towards sanyasa, was able to maintain good relationship with the Bethany Sanyasis. Very soon, the reunion of a part of the Malankara Church with the Catholic Church became a reality under the leadership of Metropolitan Mar Ivanios. The relationship of Varghese, a member of the Orthodox Church with the members of the Bethany Ashram infuriated his family members. But he already joined the Bethany Ashram without their knowledge. On 21 November 1933, Brother Varghese entered the novitiate. His family later conceded to his desire. He adopted the name Benedict, which means blessed, and on 15 August 1935 he made his temporary religious profession before Archbishop Mar Ivanios. After his studies in St. Aloysius Minor Seminary, he was sent to the Papal Seminary at Candy (Sri Lanka), for his priestly studies. He made his perpetual vows on 24 August 1941. Most Rev. Regno, the Bishop of Candy ordained him priest on 24 August 1944 and he celebrated his First Holy Qurbono in the Seminary Chapel. After his return in December 1944, Archbishop Mar Ivanios appointed Fr. Benedict to teach Syriac in the St. Aloysius Minor Seminary. He joined St. Joseph’s College, Tiruchirapally in 1946 for graduation course in Economics and passed the Degree with first rank from the University of Madras in 1949. Then he was appointed the first Principal of Mar Ivanios College. In 1952, he was elected Bishop. 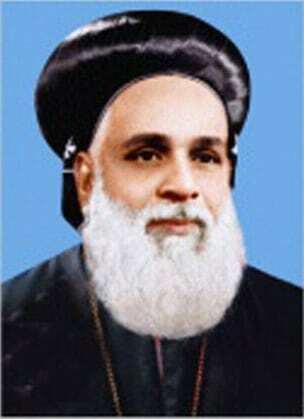 He was ordained Remban in the Aramana Chapel on 27 December 1952 and made Auxiliary Bishop of the Archieparchy of Trivandrum after the name Mar Gregorios. He became the Archbishop in January 1955. He received Pallium, on 14 May 1959. He dedicated his life for service of the human society in general through his ministry in the Malankara Catholic Church. He left his indelible marks in the social and religious fabric of India. During times of social calamities and religious unrest he was sought after to reinstate peace and concord in society. He was a champion of religious harmony. The various projects he initiated for the upliftment of the poor bore abundant fruits and they were well appreciated. The Malankara Catholic Church grew in strength and vitality during his reign. After serving the Archieparchy for 41 years he passed away for his eternal reward on 10 October 1994. His mortal remains now rest adjacent to the tomb of his guru Archbishop Mar Ivanios. James was born on 16 August 1935 at Ullannoor in Pandalam as the son of Mathai Malancharuvil and Aleyamma. He had his elementary education at Mezhuveli. He successfully completed his tenth standard in 1950. He is one among the six brothers of the Malancheruvil family who gave importance to the religious life dedicating their life to the service of Christ and his Church. 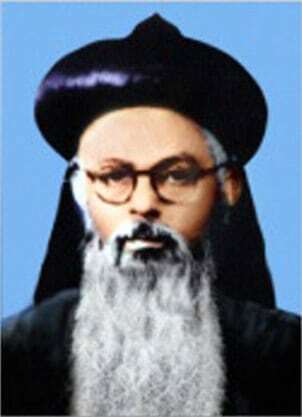 He was sent to the Bethany Ashram by Archbishop Mar Ivanios and was received there on 15 June 1950. He made his temporary profession of vows on 18 March 1953. Later he was sent to the Bethany Ashram, Pune to pursue his studies in Philosophy and Theology at the Pontifical Athenaeum. On completing the major seminary and ashram formations successfully he was ordained priest at the Papal Seminary, Pune in 1960. After returning to Kerala, Fr. Cyril took charge of some of the mission centers in Thiruvananthapuram. Here he learnt the initial lessons of doing good to the human society especially to the poor. Thereafter he was sent to Rome and joined the Gregorian University to study Canon Law. His dissertation titled ‘the Syro-Malankara Church’ is the study that specifies the canonical status of the Malankara Catholic Church. On returning to Kerala, he was appointed professor in St. Thomas Apostolic Seminary, Vadavathoor, Kottayam. Fr. Cyril was sent to St. John’s University in New York in 1970 for his higher education in Psychology, which he completed with the highest rank. He was elected superior general of the Bethany Ashram in 1974. He was appointed Metropolitan of Bathery in 1978. His stewardship of the Eparchy for 19 years was a milestone in the social development of the whole of Bathery. He was appointed a member of Congregation for the Eastern Church in 1989. He participated in the Asian Bishop’s Conference held in Indonesia in 1990 as the representative from India. He became the president of Catholic Bishop’s Conference of Indian twice. 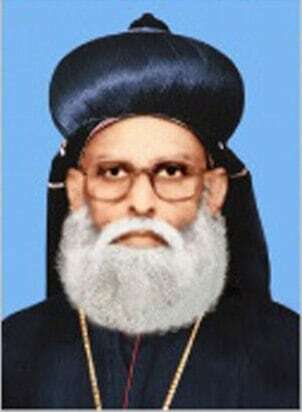 He became the administrator of the Malankara Catholic Church on the demise of Archbishop Benedict Mar Gregorios. 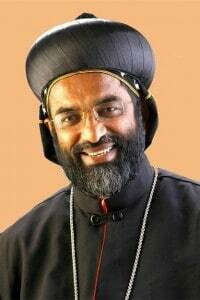 He was appointed Metropolitan of the Malankara Catholic Church and Archbishop of Trivandrum by Pope John Paul II on 29 November 1995. It was his farsightedness and hard work that raised the Malankara Catholic Church to the status of a Major Archiepiscopal Church. He assumed the title “Catholicos of the Malankara Catholic Church.” Moran Mor Cyril Baselios, the First Major Archbishop-Catholicos passed away on Thursday 18 January 2007. His mortal remains are entombed at the St. Mary’s Cathedral, Pattom, Trivandrum by the side of his illustrious predecessors Servant of God Archbishop Mar Ivanios and Archbishop Mar Gregorios. © 2019 Exarchate of St Ephrem.